In an earlier blog post I promised that I would cover the steps you need to take before and during your purchase of a tax deed. I will not be covering exit strategies in this post, which is a subject I will cover for you in several future blog posts. Let’s take care of the basics first, in this post I will give you the steps to follow leading up to the point where you begin your exit strategy. Step one; make sure all of the taxes and assessments are paid and current. Although this should be done prior to investing in the tax deed many new investors overlook the fact that the majority of deed sales don’t cover the current year’s taxes and assessments. It is typical to be presented with a bill for the current year’s taxes and assessments at the time of settlement or shortly thereafter. If you have not planned for this additional expense you could find yourself in a bit of a bind. So my advice is to find out what that will cost you prior to participating in the sale and take that into consideration when you are factoring your potential profit on the transaction. Step two; get the property insured. You need to insure your tax deed properties for the same reasons that you insure your personal residence. Your insurance should cover property loss or damage and provide some liability protection in case someone is hurt or injured on the property. Many of the traditional property insurers are hesitant to write a policy on investment or rental properties. If you encounter a problem with your agent, check with your real estate agent (you should already have an agent before you buy a deed) it is very possible that they can recommend an insurer. It is important to remember that insurance companies are licensed by each individual state so if your property is out of state you will most likely not be able to use your local agent, however you may be able to use the same insurance company with a local agent in that state. Step three; get the deed to the property and start the quiet title process. It usually takes thirty-days or more to receive the tax deed to a property after you have paid for it. Once you have the deed to the property you should contact an attorney to bring a quiet title action to remove any clouds on the title. Another possible course of action is to have the title certified by a company like Tax Title Services, once they certify your title you will be able to get title insurance from one of their partners. Either route you choose will take some time and require some investment. Step four; either you or your representative will need to enter the property and secure it. First make sure the property is not occupied. Tax deed sales are different than most real estate transactions. In most cases you will not receive keys to the property so you or your representative will need to break into the property. I recommend that you contact the appropriate local law enforcement agencies and inform them of your intentions prior to entering the property. If the property is occupied you will need to send the occupants a letter of eviction. A letter of eviction simply informs the occupant of the new ownership and requires that they contact you in a set timeframe. 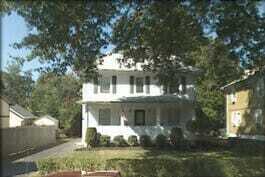 Once the occupant contacts you, a determination can be made on how best to proceed. You may want to rent or sell the property to them on the other hand you may want them out the choice is yours. If you want them to vacate, you will need to follow the eviction procedures of the state where the property is located. Step five; inspect the property and determine what type of repairs or rehabilitation it will require before you can sell it or rent it. There are several rehab calculators available for free on the internet. You can find them by doing a Google search. The typical rehab calculator is a spreadsheet that lists all of the areas you should inspect and has formulas programmed in to help you calculate the costs. In conclusion you will need to make arrangements for the necessary repairs or rehab and put the property up for sale or rent. 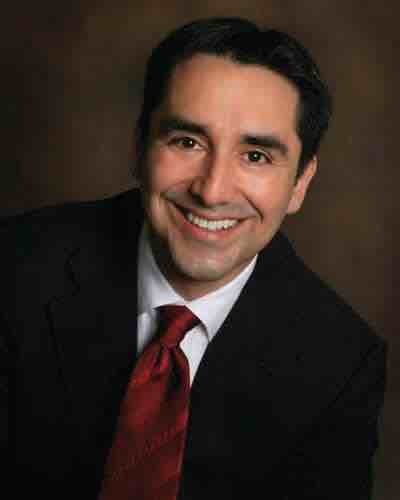 Tony Martinez is the Co-Founder and Co-Chairman of the US Tax Lien Association, which is an organization that is committed and dedicated to helping others achieve total financial freedom through the power of investing in Tax Lien Certificates. With over 20 years of expert experience, Tony is the world's #1 authority on the subject of creating enduring wealth through the little know strategy of investing in Tax Lien Certificates, which gives anyone the opportunity to earn guaranteed fixed rates of returns of 18% – 36% interest per year, and acquire valuable real estate for approximately 10% of market value. 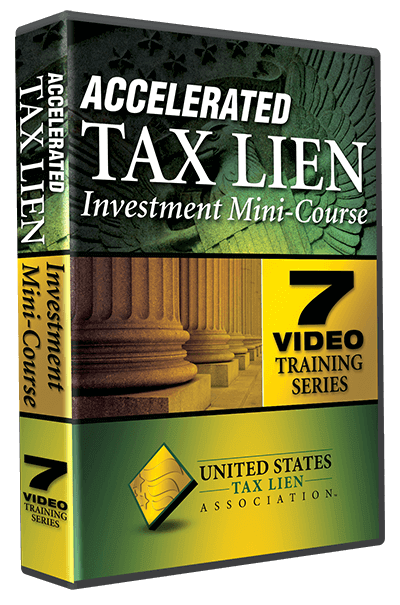 FREE 7-Day Online Video Training gives you all of the details you need to begin safely investing in Tax Lien Certificates. Yes! Please send me the FREE 7-day video training and weekly newsletter with future training alerts. We respect your privacy and will never rent or sell your information. Ever. If I wish to discontinue, I can easily unsubscribe with the link in your e‑mails. As with all investments, there is always an element of risk. Even if the interest rates are written into state government law, mandated by state government law, and are regulated by state government law, there is a chance of you losing part or all of your investment. You must always try to get the best education and practice safe investing, no matter which investment vehicle you choose.